Is my booking deposit refundable? No, the booking deposit is non-refundable. We strongly advise our guests to take holiday insurance. 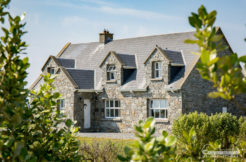 Connemara lettings recommend Booking Protect. Are groups/ young bookers allowed? We do not accept hen or stag parties unless agreed with the owner. You must be 18 or over to book a property with Connemara Lettings. Keep an eye out for the WIFI symbol on the property profiles, this will also be stated in the ‘Extra’s’ tab in the property profile. The property will be ready for arrival between 4pm and 6pm. Owners may be flexible with times if there are no arrival/departures in the property on the same day. However this must be arranged prior to your arrival with the keyholder. Can I arrive after the arrival time? Yes you can arrange for a late arrival than 6pm but we must be informed so that owner can arrange key collection. What time do I have to vacate the property? The property is to be vacated by 10am as the housekeepers will need time for change over’s. Is it possible to have a later check out time? If there is no changeover on the day of departure you may be able to contact the keyholder/owner to arrange a later check out. This is strictly subject to prior arrangement. Smoking is prohibited at Connemara Lettings properties. How do I get the directions to the property? Once final payment has been received for your holiday Connemara Lettings will send you an e-mail with the directions to the property along with the owners contact details. Who do I contact if I have a problem during my stay at the property? Your first point of contact will be the property manager whose number will be attached to your key collection details. Key collection details will be sent by e-mail once final payment has been received for your holiday. In the unlikely event of a complaint, it should be brought to the attention of the site-manager immediately. Failing a satisfactory solution, you should contact Connemara Lettings Customer Services Manager in writing. Connemara Lettings cannot resolve an issue with a property if they are not aware of the issue. We encourage guests to contact Connemara Lettings as soon as an issue arises so that we can work to resolve same as soon as possible. Complaints need to be sent in within 14 days of departure. We recommend Booking Protect who provide a complete refund protection guarantee, which enables the customer to have peace of mind as Connemara Lettings do not refund deposits under any circumstances (please checkout our Cancellation Policy). Can I provisionally book a holiday? We can provisionally hold a maximum of 1 property per customer for 3 working days without charge (not during July & August). Provisional bookings cannot be made online so please contact the office to speak with a member of staff. If a deposit has not been received within 3 working days of the provisional booking being made these dates will be released for sale again without notification. Some properties charge extra for utilities (ie electricity, oil and gas) this will be stated on the property profile under ‘EXTRAS’ and will also be stated on your booking form. Electricity / oil & gas are metered upon arrival and departure and are charged at the national domestic rate at the time. Please check on the property profile, it will also be stated in the property features if the house is wheelchair accessible. Or you can contact our office direct. Once your final payment has been received for your holiday Connemara Lettings will send you and e-mail with your key collection details. We look after the final cleaning before the next guests, but we do expect our guests to leave the property in a clean and tidy condition on departure, we also ask that guests leave all used linen and towels in the bath or shower, fill and start the dishwasher, empty bins & remove all used bottles from the holiday home to help things run smoothly for our cleaners. Is there a travel cot and high chair at the property? It will be stated in the property profile if there is a travel cot and high chair provided at the property. Please note that linen is not provided for travel cots, it is the guests own responsibility to bring linen for travel cots. For insurance purposes, the total number of customers staying in each holiday home reserved must not exceed the maximum capacity stated on the property profile, to do so may void the owners home insurance. Yes we have a wide range of pet friendly properties, just look out for the dog icon on the property profiles. Dogs must be supervised at all times and never left in a property alone. It is the guests’ responsibility to clean inside and outside of the property after their pets. Any damage to the property due to a pet will result in a security deposit not being returned. The property profile will inform you in the features section if there is parking provided. Are there linen and towels included? Yes linen and towels are provided at all of Connemara Lettings properties. Some of our properties provide access to the local Leisure Centre where towels are not provided. Yes all kitchen’s are equipped with cups, plates, bowls, forks, knifes, spoons, glasses etc. for the amount of people that the property permits. Yes, short breaks starts at a minimum rate of 3 nights. Why am I being asked to pay a security deposit? A security deposit is required at all properties. Payment is made either by cash or pre-authorisation on your credit card – the agreed payment will be stated on the Property profile along with details of the refund. This is held against damage, breakage and loss. We strongly advise that all customers take out travel insurance to cover any costs associated with cancellation charges. Booking Protect provides a refund guarantee which enables the customer to receive a refund in specified unforeseen circumstances. In the event that you wish to cancel your reservation at any time Connemara Lettings will retain the initial booking deposit and booking fee. If you cancel your reservation less than eight weeks prior to the Arrival Date, we reserve the right to retain the Initial Deposit, booking fee and the full rental paid. If you cancel your booking more than eight weeks prior to the Arrival Date, we reserve the right to retain the Initial Deposit and booking fee however we will refund any other monies paid. Yes, for all bookings made a fee of €25.00 will be applicable to each booking. You will receive a confirmation e-mail from Connemara Lettings within 24 hours of making your booking. In the event that Connemara Lettings cannot accept the booking all fees paid will be refunded immediately to the guest. Please note that if you do not receive a booking confirmation from Connemara Lettings then your reservation is not confirmed. The full balance is due 6 weeks prior to your arrival. If booking a holiday and arriving within the 8 weeks, full payment is due at the time of booking.